Check Fundamentals & Not Share Price while Buying Stocks! This question opens a point that often confuses beginning investors: The per-share price of a stock is thought to convey some sense of value relative to other stocks. Nothing could be farther from the truth. In fact, except for its use in some calculations, the per-share price is virtually meaningless to investors doing fundamental analysis. If you follow the technical analysis route to stock selection, it’s a different story, but for now let’s stick with fundamental analysis. The reason we aren’t concerned with per-share price is that it is always changing and, since each company has a different number of outstanding shares, it doesn’t give us a clue to the value of the company. For that number, we need the market capitalization or market cap number. The market cap is found by multiplying the per-share price times the total number of outstanding shares. This number gives you the total value of the company or stated another way, what it would cost to buy the whole company on the open market. This is how you should look at these two companies for evaluation purposes. Their per-share prices tell you nothing by themselves. What does market cap tell you? First, it gives you a starting place for evaluation. When looking a stock, it should always be in a context. How does the company compare to others of a similar size in the same industry? Some analysts use different numbers and others add micro caps and mega caps, however the important point is to understand the value of comparing companies of similar size during your evaluation. You will also use market cap in your screens when looking for a certain size company to balance your portfolio. Don’t get hung up on the per-share price of a stock when making your evaluation. It really doesn't tell you much. Focus instead on the market cap to get a picture of the company’s value in the market place. IMP Note: This article is written to safe-guard our readers who are new to stock market, and make them understand about the actual facts. We keep on receiving mails from our readers regarding the price range of stocks we covers under our Hidden Gems or Value Picks service. The misconception in mind of new investors is regarding the stock price, majority of them believe that if stock price is less, like below Rs. 50 or even below Rs. 10, changes of stock price appreciation is very high and they can buy more no. of shares rather than buying a limited no. of shares of high priced stock. We started Hidden Gems annual subscription in late 2010 followed by other services like Value Picks, 15% @ 90 Days and Wealth-Builder, today we have a strong subscriber base covering almost all major states in India and from 20 other countries across globe. During the last 7 years we have interacted with several investors seeking multibagger return from stocks. It was 17th Dec 2011, we recommended Cera Sanitaryware as Hidden Gem stock of the month at price of Rs 157, later it went up to Rs. 450 in period of 15 months. Based on strong quarterly numbers, attractive valuations and consistent performance, we recommended buy again in the range of 400-450 which was taken as a surprise by our members as we received several queries and feedback. Below are some of the common queries of our subscribers which often lead them to opportunity losses. 1. How come a stock priced at Rs 450 can generate Multibagger returns? 2. Cera is almost 3 times moving from 170 to 450, why are you suggesting buy again? 3. Where is the room to generate Multibagger return from this level? 4. I don’t like such high-priced stock, please give me stocks priced below Rs. 100. 5. I want to buy more no. of shares, hence please recommend low price stocks below Rs. 10. Cera Sanitaryware touched its life time high of Rs 3918 recently, stock closed at Rs. 3455.85 yesterday, stock has given as on date returns of 2100% in 6 years from our initial recommendation and 668% return from our reiterated buy at Rs. 450, which was not liked by our subscribers. The story does not end here, there is a long way to go. Our suggested stocks is with a view-point of 1-3 years at least and not just 6-9 months. If fundamentals of the company are intact, we would not suggest our members to do profit booking or exit. Investors who stayed away just because of high price simply missed yet another opportunity. We continuously recommended Cera during last couple of years to our members at much higher levels. There is a general misconception among the investors that high priced stocks can't generate multibagger returns. They often think that high-priced stocks are overvalued. In terms of valuation, a 50 rupees stock may not be cheaper than that of a 1000 rupees stock. 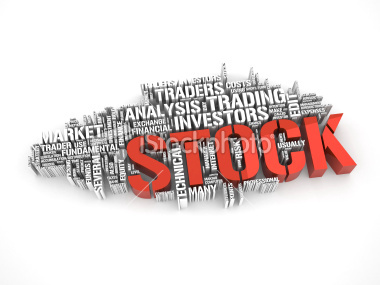 There is no co-relation between the valuation and market price of a stock. To understand whether a company is small or large, you must look at market capital of the company and not at stock price. To judge valuation you must have to look at Price to earning ratio, Price to book ratio, Price to sales ratio etc. Lets try to understand this with an example, Tide Water Oil share price was Rs. 1450 on 1st Jan'12 (stock split and bonus issue adjusted price, actual price was 5800). Yesterday the stock price closed at Rs. 6097.50 giving absolute returns of 321% i.e. more than 4 times in 6 years against double digit return of Sensex in the same period. We suggested Buy on Tide Water Oil and many of our subscribers might not have invested in it thinking that they can buy hardly 2 shares by investing Rs. 12,000 but now those 2 shares are actually 8 shares post stock split and issue of bonus share, and share price is also above the actual recommended price. There are many examples like above by which we can illustrate that there’s nothing called high price. Multibagger returns is not dependent on the current market price of a stock, so don't be afraid of investing in high priced stock. You need to look at fundamentals like future growth prospects of the company, PE ratio, PB ratio, ROE, ROCE, debt on books, cash reserves along with other parameters to judge a stock whether it is undervalued or overvalued. We agree with you that judging valuation is not an easy task. So, take expert’s advise when ever required. Another misconception among investors is to buy more no. of shares. They often think that its better to buy more no. of shares of a low price scrip (ranging below Rs. 10 or say below Rs. 50) instead of buying less no. of shares of high priced stocks. They often think that low price stocks can generate multibagger return quickly. During last 5 years, we have reviewed existing portfolio of our members under our Wealth-Builder (an offline portfolio management service) subscription, we have noticed that many of their portfolio is filled with such low-priced stocks and most of those are in great loss because of poor fundamentals. You may think that a two rupees stock can easily generate multibagger returns even if it touch to Rs. 5 or 6. At the same time don’t forget that the same can even come down to Rs. 0 levels which can evaporate all your investment giving you 100% loss! In terms of valuation a two thousand rupees stock may not be expensive than that of a two rupees stock. Lets try to understand this also with a simple example, Lanco Infratech is a well-known company from Infrastructure sector. At the beginning of 2010 the stock was around Rs 55. Today it is hovering at just Rs 1.10. Those who purchased the stock during 2010 are in 98% loss! Rs. 1 lakh invested in Lanco Infratech in Jan 2010 is valued at merely Rs. 2,000 today, a complete wealth-destroyer! Isn't it? Those who bought this stock at levels of Rs. 30 and later again at Rs. 10 or Rs. 5 to average out thinking that stock has came down from all time highs of Rs. 85 are still waiting to get their buying price back. There are many such stocks like Suzlon Energy, GMR Infra, GVK Power and Infrastructure etc which have continuously destroyed wealth of investors over a period of last 5 to 7 years. We do not state that all low price stocks are wealth-destroyers, it all depends on the fundamentals of the company. So, do ensure that you check out the fundamentals and valuations while investing in stocks instead of looking at stock price. Please get out of the misconception that low priced stocks will fly high faster giving you extra-ordinary returns. Always remember that stock price is just a barometer, actual valuations of a company can be determined by its fundamentals. If you wish to invest in fundamentally strong small and mid cap companies which can give you far superior returns compared to major indices like Sensex or Nifty in long term and help you creating wealth, you can join our services like Hidden Gems, Value Picks & Wealth-Builder. At Saral Gyan, team of equity analysts keep on evaluating small and mid cap stocks to explore the best Hidden Gems and Value Picks of stock market. Saral Gyan - Hidden Gems and Value Picks are the small and mid cap stocks with high probability to become multi-bagger stocks in future and a path for our investors to create wealth through equity investments in a long run.